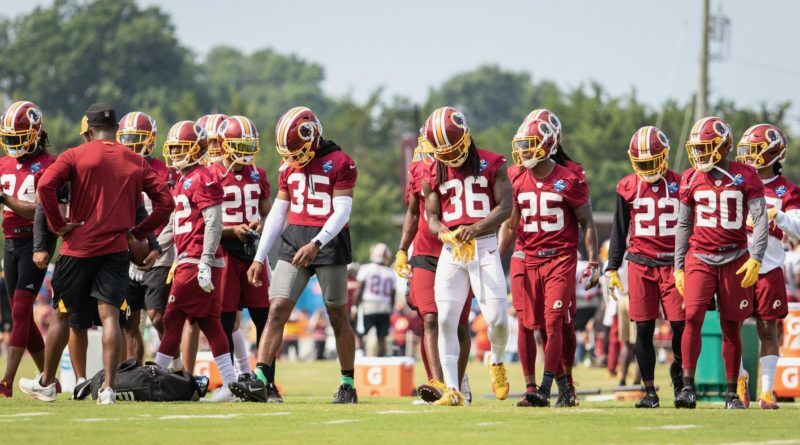 Under a sweltering sun the Washington Redskins had their second day of practice. A warm day saw a few players taking extra water breaks and led to a more intense day. Here are some notable events from the morning session. – The word of the day is, DEFENSE! The defensive unit was more fired up and more aggressive after the offense was looking quite strong yesterday. The defensive line plugged running lanes, outside linebackers closed the pocket, and the secondary was flying around the field knocking down passes and pushing receivers around. -Alex Smith had his first rough day. After looking smooth and under control yesterday, today was a different story. Smith threw an interception and had another three or four that could have been. Smith did have a couple of good, tough throws under pressure, but it definitely was a step back from his performance yesterday. 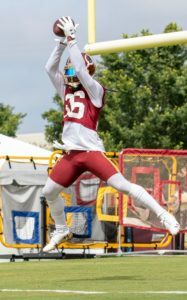 -DJ Swearinger was the performer of the day. He was physical from one on one drills to full 11 on 11. Swearinger had an interception, close to having another with a few more breakups. His being vocal is vital to the defense as he is the tone setter for the squad. -The defensive line was as advertised today. They plugged up holes well, kept the offensive line occupied for the linebackers, and flowed well on zone plays. Da’Ron Payne works well with Jonathan Allen as the Alabama Crimson Tide connection seems to be working. 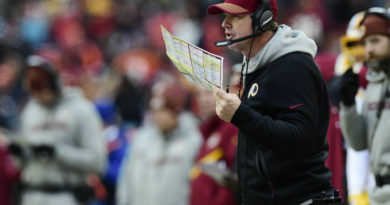 -Some notable lineups from the Redskins today. On offense with the ones, rookie Geron Christian Sr. started at left tackle, John Kling started at right tackle in full drills. 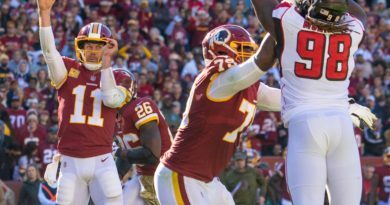 The team is being cautious working Trent Williams and Morgan Moses back in. 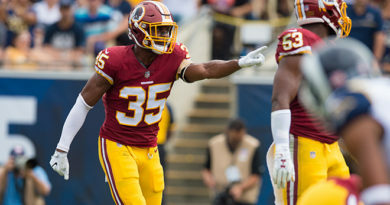 Today Byron Marshall was the first running back out followed by Guice, Bibbs, then Kelley. 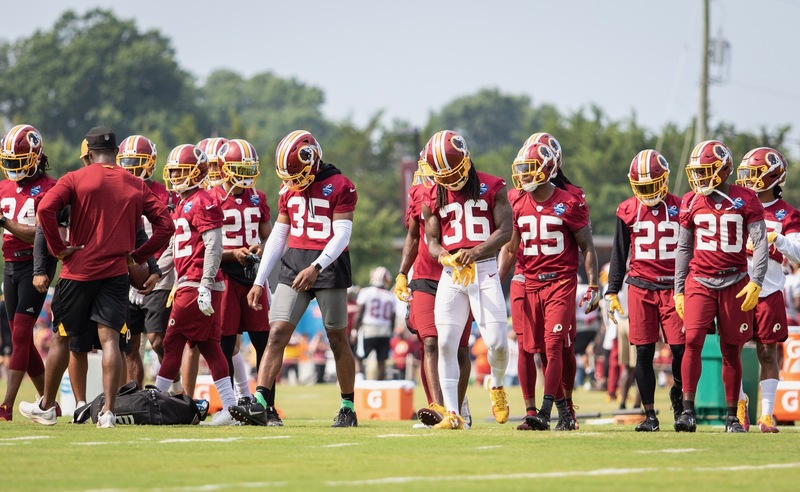 On defense with the first team linebacker Josh Harvey-Clemons took Zach Brown’s spot, defensive lineman Anthony Lanier was in Stacy McGee’s spot, and Orlando Scandrick started opposite of Josh Norman at corner. 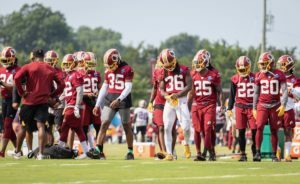 Running back Rob Kelley left practice with heat related issues and linebacker Ryan Anderson had back spasms. Both are listed as day to day. Zach Brown participated in a limited capacity in drills but no full squad work. Jordan Reed did some warm up drills with the team but no 11 on 11 work. Reed was working on a side field. Nose Tackle Da’Ron Payne went down during one of the 11 on 11 sessions. It was a outside zone play from the offense and Payne was stacking up the play when it appeared he got his ankle rolled up on. He stayed down for a few seconds then was helped off by teammates. He was stretched out by the training staff and stood and watched the remainder of practice. No updates were given.